The Phils look to win the series from the first-place Braves in Atlanta. This one looks like it will start right around 9:00 PM tonight. The old-tyme mustache and Teddy Roosevelt-era glasses can act as a great disguise for a Phillies team who may need it when they return home Thursday. 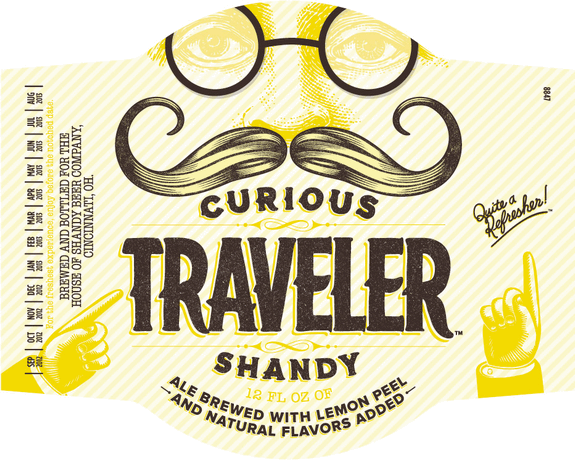 Curious Traveler Summer Shandy is a rich beer with a lemony taste. Goes perfect on a nice summer night like tonight in the Philly region as we try to hold on to what is left of summer.